FLEAS ARE BY FAR the most common external parasite of dogs and cats. They cause an enormous amount of distress, from severe itching to true flea allergic skin reaction (dermatitis). Almost everyone with pets has seen fleas, but just in case you haven’t, fleas are small, brown, wingless insects, about an eighth of an inch long. They are extremely hardy and fast moving. They can easily jump from pet to pet with their strong kangaroo-like legs. The flea’s sole source of nourishment is blood. So be warned, if you let a flea problem get out of hand: they will bite YOU. The eggs are usually laid on the pet’s fur and then roll/drop off outside, onto the carpet or anywhere else in the house. Picture the pet turning into a salt shaker… able to drop tiny flea eggs everywhere they go! Flea eggs can hatch within 2 weeks, or lay dormant (“hibernating”) for several months. Flea eggs hatch into flea larva. A flea larva feeds off flea feces and then 7 to 14 days later, spins a cocoon around itself. While in the cocoon, it is called flea pupa. Flea pupa is immune to any home flea treatment. From the cocoon, the pupa subsequently grows into an adultflea. Fleas bite our pets in order to drink their blood. One flea consumes blood 15 times more than its body weight per day. At that rate it would only take 70 fleas to consume 1 milliliter of blood daily. A flea-infested pet left untreated can actually become anemic. An 8 week old kitten only has approximately 55 to 80 milliliters of blood. So, a heavily infested kitten can easily bleed to death. Flea bites can be very irritating (even for humans) and some pets are highly allergic to them. The goals of flea control are the elimination of fleas on the pet and prevention of new flea development. For example, if you have a multi-pet household, it is crucial that each of your pets has the proper flea control or else infestation from one animal is easily transmittable to another! The most comprehensive program to have proper pet flea control as well as your home environment flea control. Ask the Westway Animal Clinic team for more details. We have the right solution for you! 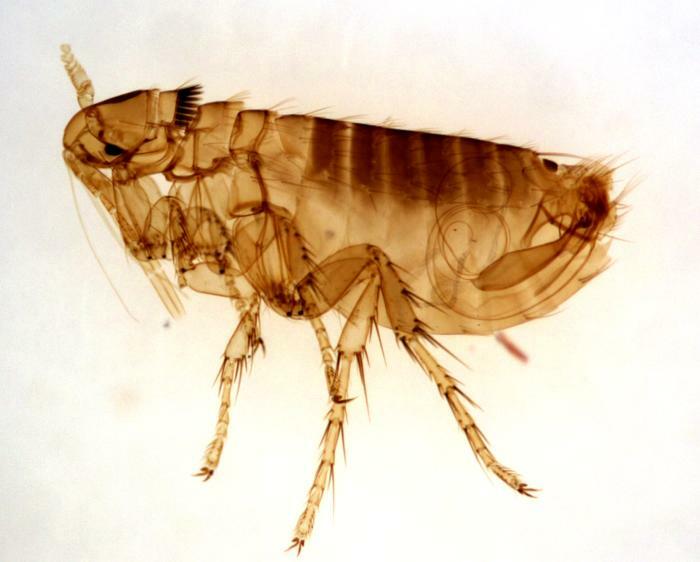 To check for fleas we commonly look for “flea dirt” which is really flea feces! Using a flea comb, comb through your pets fur, and then taking a wet (white) paper towel, wipe the comb. If your pet has fleas, you will be able to notice pepper ground-like shapes, or tiny black coils, that will dissolve with the water on the paper towel and turn the paper reddish-brown! This is the flea feces. IN CONCLUSION: Our pets can get fleas from just about anywhere! Rabbits, squirrels, raccoons and outdoor cats can all carry fleas into our back yards. Fleas are the intermediate host for tapeworms – where there is one we should ALWAYS look for the other. REMEMBER: Prevention is the KEY!